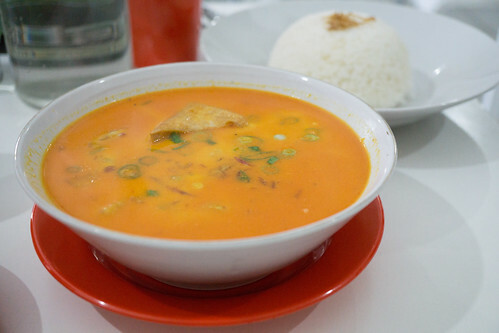 Famili Ria is a highly rated Indonesian eatery in Surrey Hills. They serve traditional Indonesian dishes such as Bakmie Ayam, Curry Chicken, Grilled Chicken and Nasi Goreng. The Bakmie Ayam is basically dry egg noodles, with your choice of add ons like chicken, beef balls, wonton, tofu and mushrooms. We ordered the one with chicken and beef balls and it comes with a chicken soup as well. Overall, it was a light and tasty dish. 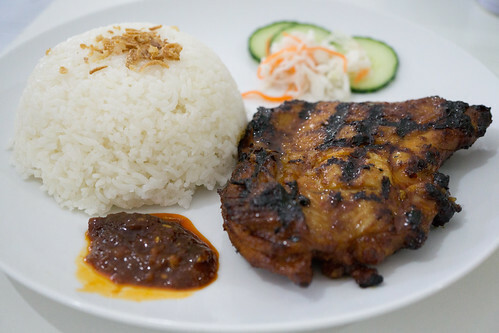 Their Ayam Bakar Pedas (Grandma’s Charcoal Grilled Spicy Marinated Chicken with Rice), is pretty good. I liked the charred on the chicken, and the sambal has a nice spiciness to it. Famili Ria’s Nasi Kari (Curry Chicken with Rice) was not as great as the others. The curry needed to be a bit more spice to add depth of flavour. 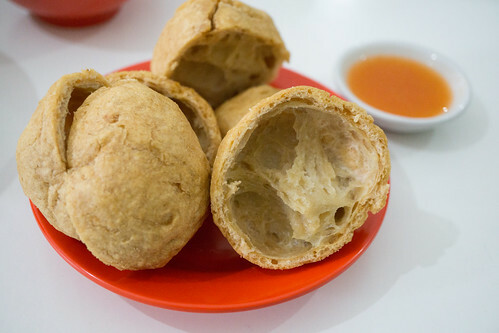 We also ordered Baso Goreng which is a fried meat ball (chicken and prawn), with a dipping sauce. It had a subtle prawn flavour to it, and thought it was quite interesting. Not sure if I’d order it again though. Famili Ria serves a great selection of Indonesian dishes and you can see why it’s so positively rated.